A store that looks as great as the food tastes. Sign Here Signs was commissioned to install signage for the first Pita Pit franchise in WA. The flagship franchise is located in Malaga, and is now open for business. Pita Pit is an international brand, focused on creating ‘healthy and delicious food’ for people who need fresh food choices on the go. They have more than 600 stores worldwide, and started life as a concept in Canada. We had a Project Manager overseeing the works, as well as over 8 specialist tradesmen and workshop hands applying their skills to the job. 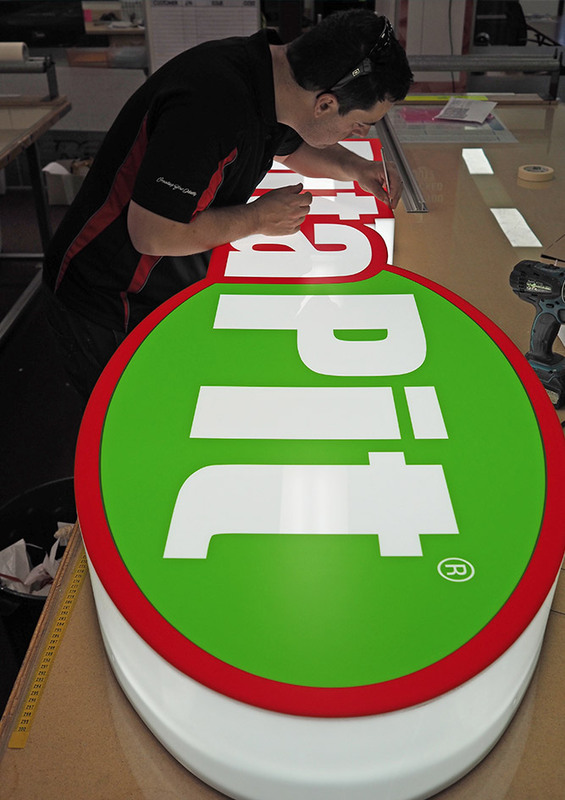 Pita Pit engaged us to design, fabricate and install their signage over a period of months. 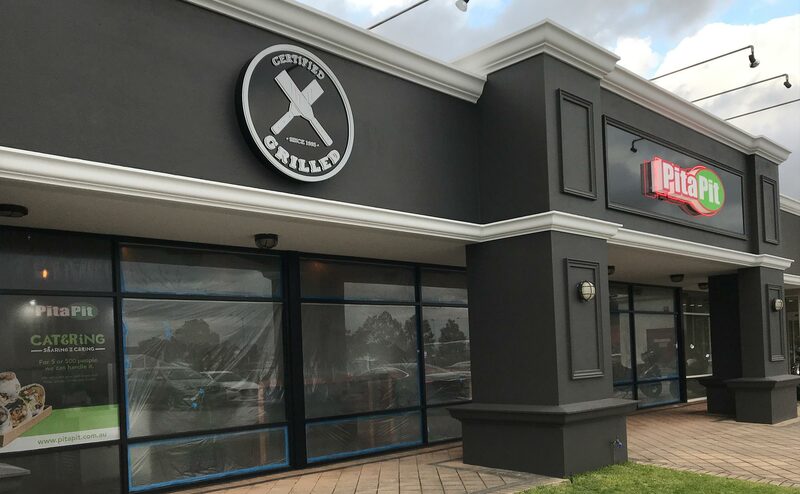 We rolled out various phases of installation, so as to be ready for their Grand Opening. 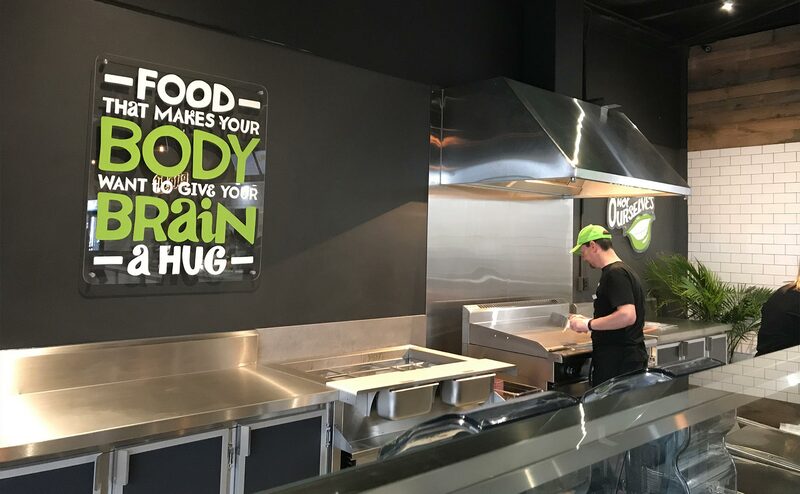 Pita Pit had a corporate style guide to ensure consistency and quality across the international franchise. Our Project Manager ensured it was followed to the letter. This was important to us and the Malaga franchisee, as we wanted to impress the national network, and do their amazing branding justice. Fabricated acrylic light boxes, plus neon surrounds. Laser cut 5mm corten (rusted) steel with LED backlighting. 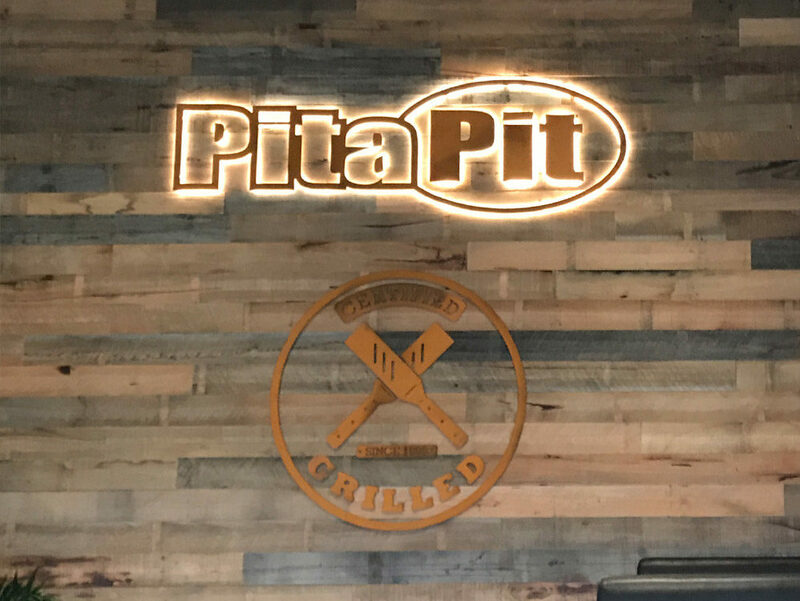 We were excited that Pita Pit wanted to use neon tube elements and corten (rusted) steel in their signage, as these two elements are very unique. 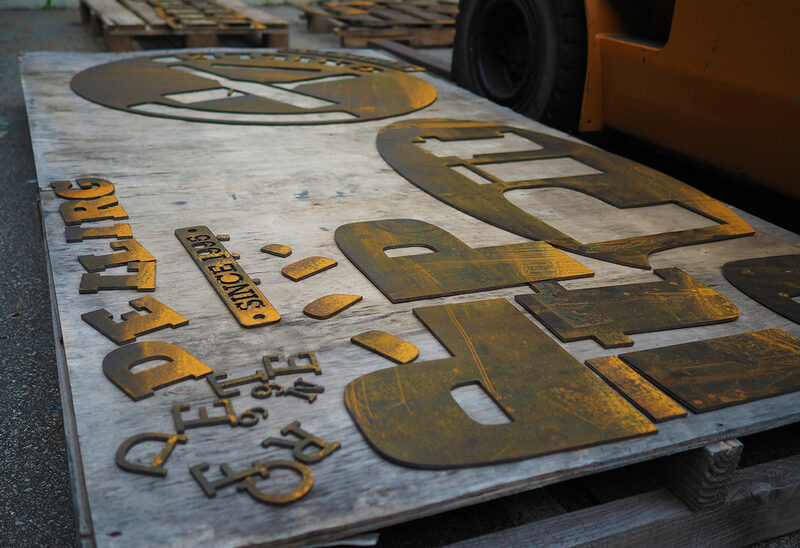 The LED lighting illuminated Pita Pit’s corten steel logo, which created a brilliant effect. Although this was outside the brand’s original scope of works, we still finished installation in time for the Grand Opening. The main elements of the installation were completed within a two-day period. Our team finished the project for Pita Pit within budget and on time. 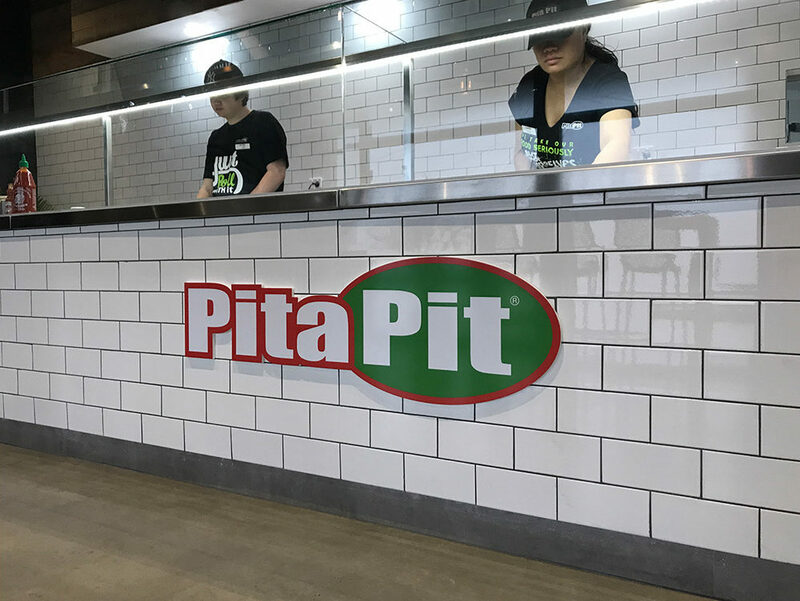 We absolutely loved working on this project, and enjoyed making sure the first WA Pita Pit looked as great as the food tastes. We’re also a little bit excited about buying lunch there!